How To Get Soft Skin - Lazy Girl’s Guide For Soft Skin! Believe it or not, the skin the revolutionary and easy skin care tips are discovered due to all the lazy girls like me! A lazy girl can find out the best and easiest way to fight skin issues and care for the skin with minimum efforts and that is why you must follow the entire amazing lazy girl’s guide for skin care! 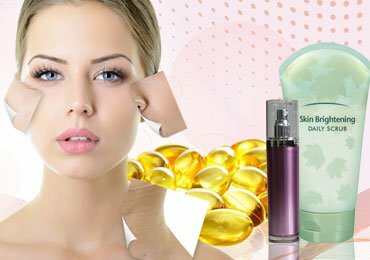 Skin care is immensely important to fight premature aging and various other issues. Especially nowadays, when due to pollution, low nutrition diet, stress and such issues, the skin gets degraded! 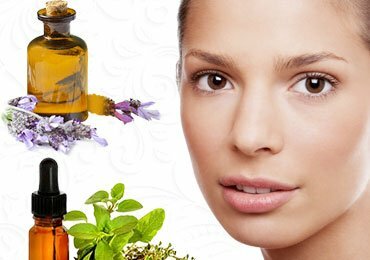 Here’s a little skin care guide which gives awesome results in by few efforts! 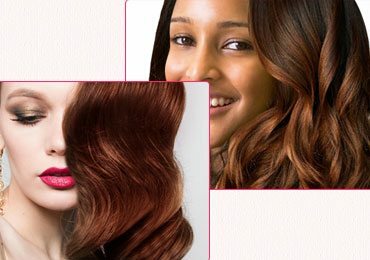 So girls, here are some awesome hacks which you can try! While you get few minutes free on your desk in your office, give your face a stunning massage! Place your fingers below your eyes, tap them and move them from there to the back of your ears! Also, tap and massage the fingers around your eyes and through your scalp for a complete face massage! This awesome massage would allow blood flow in your face which is the best way to fight skin aging and distressing of skin! Improvement in blood flow would fight wrinkles, fine lines, saggy skin and roughness. Lip pluming tools, Moisturizers aren’t your thing? Make your lips super hydrated and look plumped with little peppermint oil! Apply some peppermint oil on your lips and keep them beautifully moisturized! Peppermint oil is plumping oil which can nourish your lips, make them look popped and fuller. The peppermint oil would improve blood flow in your lips and make them nourished. 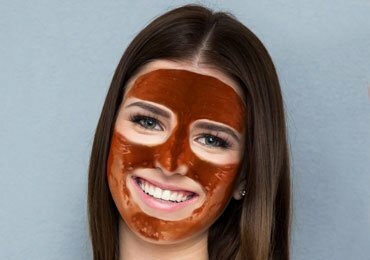 Don’t trust the market-based peel off masks? 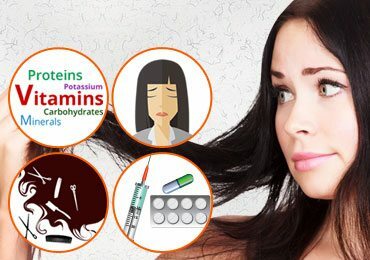 Here is an awesome mixture which would make your skin look flawless. Mix some lemon juice, baking soda and water and apply this mask on your face. Peel it off and rinse! This peel off mask is an awesome way to reduce pores, dust and blemishes on your skin. This peel off mask would reduce pigmentation, fine lines and make your skin youthful! Hate applying pastes and makes on your face? Everyday drink lemon water and hydrate your body and skin. every morning, wakeup, boil some water, add lemon juice and drink this mixture. Internal purification of the body and skin is extremely important. Your skin gets beautiful if the inner toxic substances get flushed off from your body. Drinking lemon water would detoxify your body and as a result, your skin will glow without any hard work! While you are cooking, roaming or watching TV, in the break, perform the downward dog pose. Stand straight, bend down from your abdomen and make a reverse v pose. Rest on your legs and palms while stretching your body! The downward dog pose is an excellent way to flourish your scalp, face and body with blood circulation. This pose would activate and stimulate your blood vessels and allow blood flow which has a direct connection on skin tightening! Thus, perform this awesome pose and make your skin flawless! If you are frustrated due to pimples and acne, you can try this amazing trick! Pop the pimple and place a soaked tea bag on the popped pimple. Use the fresh but cold tea bag on the pimple and soon get rid of a pimple! Tea bags can fight pimples and can easily make your skin free from greasiness and such issues. Tea is filled with antioxidants, minerals and nutrients which can make your skin free from pimples, oily skin and such issues. Tea would fight the bacteria and leave you with clean and radiant skin! If you always forget to use sunscreen lotion before stepping out in the sun and this leads to sun tan a burn, keep an Aloe Vera plant in your home. Extract some ale Vera gel and apply it on your skin. Suntan and sunburns would banish soon! Aloe Vera gel is a soothing and skin enriching ingredient. It can heal sunburns suntan and pigmentation. All the skin related issues can be treated with aloe Vera gel. Thus make your skin bright and beautiful with this amazing ingredient! If you are tired of face masks and such different remedies for enriching the facial skin, just try washing your face 3 times a day. Simply wash your face 3 times a day and watch the magic! While you step out of your house, various germs, dirt and dust stick on your face. If you done clean you face these elements would get converted into blackheads, blemishes, pimples and such skin impairments. Cleaning the face 3 times a day would clean these elements and keep your skin fresh. If you live in a chilly and cold place, go for warm showers or loofah. If not daily, at least 3 times a week, go for warm showers and your skin would glow automatically! Warm water is a natural cleanser for skin, it gets on the skin and opens the pores, from which the dust, germs, bacteria and all the toxic substances will get removed. Your skin would look clean, tight and youthful forever with this simple trick! If you love sleeping lazily, here is a hack which can make your skin look flattering! Replace your cotton pillows with the satin or silk pillows. 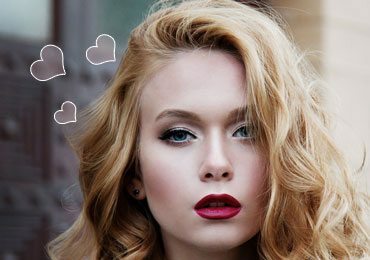 This replacement would make your skin smooth and gorgeous as never before! Cotton absorbs all the moisture and smoothness from your skin. The satin and silk pillows make your skin smooth and radiant. Satin makes helps in retaining the skin moisture and the smooth texture of satin pillows would also make your skin beautifully smooth! If you have no time to find the remedies for acne and pimples, here is a little trick which you can try and instantly get the acne banishes. If you find a huge pimple or acne popped on your skin, apply the white toothpaste on the acne and soon you will get rid of it! Toothpaste is made from herbal and cleansing extracts. 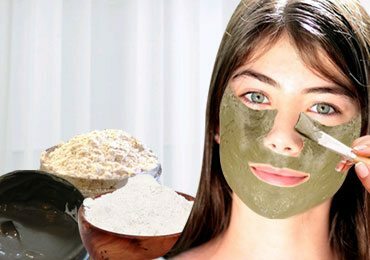 It can cleanse your skin and remove all the extra greasiness in your skin. Toothpaste fights the bacteria and greasiness which causes pimples and thus, you can use this handy ingredient to fight acne! If you love to carry makeup while you step out, here is an amazing and quick way to remove makeup! It’s hard to remove and clean makeup after returning from a party late night tired and lazy! Use the makeup removing wipes to quickly clean makeup and leave your skin radiant! Choose the makeup wipes which are prepare form natural and soothing elements. These wipes would imply and easily remove makeup while keeping your skin smooth and radiant! In just 5 minutes without splashing water and cleansers on your face, you would be able to remove makeup and make your skin supple! Every night before going to bed, loosen your bra straps. Extremely tight and fitted bra straps can make pimples pop on your shoulders and back. Thus every day, loosen your bra straps before you go to sleep! The tight straps of your bra and fiction caused with skin can make your skin rough and also produce acne. If you want your skin to look flawless and bright, loosen your bra straps and let your skin breath! This would reduce the pimples in your back, shoulders and around the straps! If you wakeup up late exactly at the time when you must be ready and on the way to your work or college, watching your face with puffed eyes is such a horrible thing! Place some soaked teabags in your refrigerator and place these chilled bags on under your eyes. Within few minutes get ready and move out! Tea bags are filled with antioxidants and rich minerals which are helpful in reducing swelling, redness, puffed skin and such other issues. 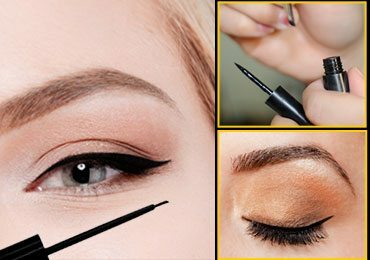 Instead of tea bags, you can also use ice cubes and spoon to place on the puffed under eyes! This would quickly reduce puffiness and make your eyes look gorgeous! Every night, before going to bed, moisturize your skin. Use any product or lotion which you trust and which suits your skin and apply it on your body. This would get penetrated deeply in your skin and would make it glow! This moisturization would keep your skin hydrated and conditioned. If you have dry skin, this routine would keep your skin radiant and flawless. Your skin won’t need any additional care if it is moisturized and nourished daily so don’t forget to add a moisturizer to your night care routine! If you cannot follow any skin care routine to make it look flawless, you just go to sleep and enjoy your relaxing sleeping time! You are allowed to forget your beauty care but do not compromise with your beauty sleep! Sleeping for at least 6 hours every night would make your body sooth and relaxed. If you want flawless skin, you need to get your beauty sleep and late your skin breath. Your skin and body organs actually get repaired while you sleep! Thus, get your beauty sleep and let your skin get all the glory! Here is the most amazing and delicious hack which you would love to follow! What can be more amazing than to eat a yummy bowl of ice cream? Grab some chilled and mouth watering ice cream scoops and watch the impact on your swollen and dull face! If you witness your skin getting swollen and patchy, you can eat some ice cream and reduce the swelling. Chilled ice cream can allow instant blood flow in your body and face. This can reduce inflammation and puffiness under the eyes! Thus, eat ice cream to boost blood flow and make your skin look adorable! If you want to make your skin look flawless and stunning, use an old smooth t-shirt to wipes your face whenever you wash your face. Instead of a towel or napkin, go for an old t-shirt! Wiping the face with cotton or any other smooth fabric t-shirt would simply make your skin smooth and glorious. The harsh towel fabric can sometimes steal the moisture of your skin while using a t-shirt would let your skin stay smooth and fabulous! 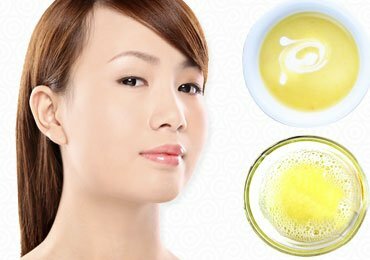 Here are some interesting and cool skin care tips which are quick and extremely easy. 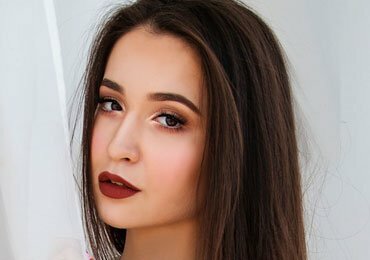 Follow these awesome tips and make your skin look flawless!